Determine if it is the app or the network with hop-by-hop path analysis on-premises or in the cloud. Drag and drop network performance metrics on a common timeline for immediate visual correlation. Collect, correlate, analyze, and visualize multi-vendor flow data over months, days, or minutes. Manage config changes including back up, bulk change, compliance, and vulnerability assessment. See all devices, applications, networks, and vendors in single-page path analysis for more signal and less noise. 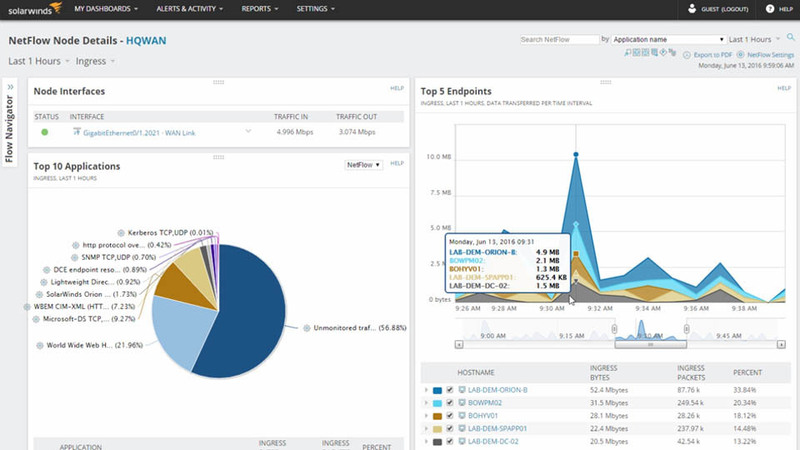 Track every hop and view latency historically or in real-time. View performance, traffic, and configuration details of devices and applications that are on-premises, in the cloud, or across hybrid environments. 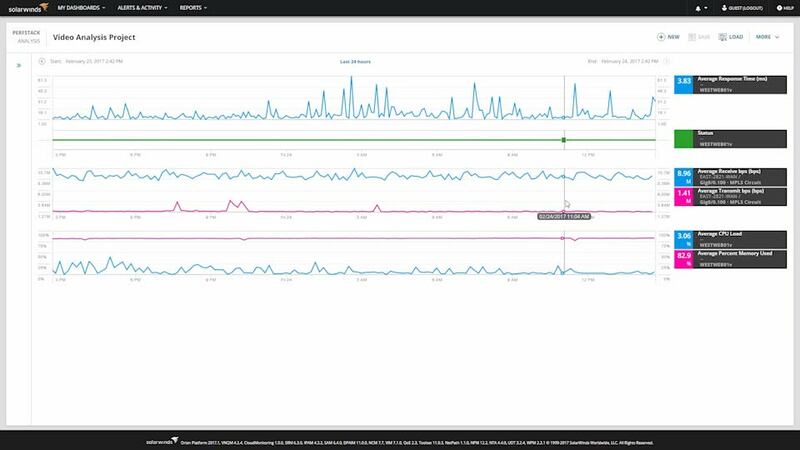 Monitor connectivity from your users to the services they care about, determine what infrastructure is in the path, and where traffic slowdowns are occurring for optimizing network performance. Visually correlate performance data from on a common timeline to help you solve network problems faster and reduce the impact to your end-users. No need to switch from tool to tool to identify root cause. Whether you are looking at network interface utilization, application performance counters, VM host memory utilization, or storage IOPS, you can compare different data types side by side. Easily share your data analysis with your counterparts by simply creating analysis projects and sharing the URL across the team, so everyone sees the same data presented in an intuitive dashboard. Collect, correlate, visualize and indentify which users, applications, and protocols are consuming the most bandwidth by monitoring and analyzing NetFlow, J-Flow, sFlow, Huawei Netstream, and IPFIX flow data. Measure the effectiveness of pre- and post-policy traffic levels per class map to determine if QoS policies are working as planned. Manage rapid change across complex and multi-vendor networks, reduce time needed to complete repetitive tasks, and maintain standards and service levels for uninterrupted IT. Simplify network compliance with automated network configuration tools to deploy standardized configs, detect out-of-process changes, audit configurations, and even correct violations. Locate the most current configuration and quickly apply it to a replacement spare, or to roll back a blown configuration. Identify vulnerabilities in your Cisco devices with integration with the National Vulnerability Database and access to the most current CVEs. "Orion NPM and NCM give us tremendous network management and monitoring capabilities for such a small investment. They have become an integral tool as part of our team and daily monitoring, we are able to easily see if there has been any issue within the network as we are alerted both by email and SMS." How can we help you troubleshoot network issues? Our product engineers are on call to help you make the right choice. Troubleshooting network performance issues is a time-consuming, complex process. Excessive bandwidth utilization results in poor performance or increased costs.